Central heating and air conditioning systems are a must for River Oaks, Texas, homeowners who want to stave off the effects of extreme summer and winter weather conditions on indoor comfort. 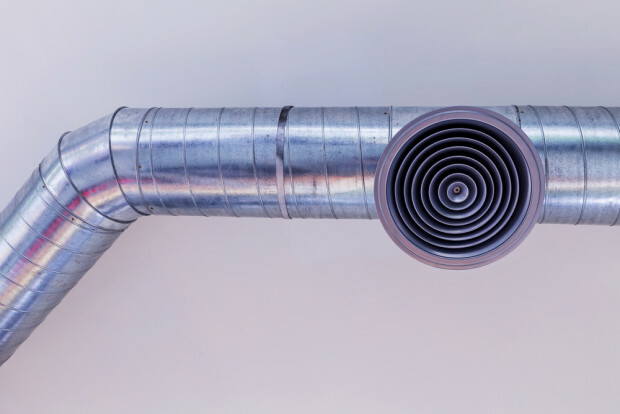 Central air systems use ductwork to efficiently distribute heat throughout the home. Opting for custom ductwork can result in improved indoor comfort and help your system to last longer. Here are some other benefits of choosing custom ductwork. Heating and air conditioning systems with custom ductwork are much more efficient than systems with standard ducts, saving money over time. Custom ductwork has fewer gaps where warm or cool air can escape. It’s also shorter and straighter, without unnecessary turns like many standard duct systems. This means custom ductwork requires less power to move air to different rooms in your home. If the ductwork is too big or small for your HVAC system, it will have to work harder. It will be harder to get conditioned air to the rooms throughout your home as well. This can also cause extra wear and tear on your system, eventually leading to enough damage for you to need an early replacement. Our precise measurements make sure that your custom ductwork is always the perfect size for your home. With efficient custom ductwork that fits your home, you can also enjoy better performance. Your home will get warmer or cooler as needed. You will achieve better results from your thermostat settings, and the temperatures will remain more constant. Many homes with standard ducts have areas that are often too warm or chilly. Conditioned Air Mechanical can install your custom ductwork, along with other heating and air conditioning systems. We also clean and seal existing ductwork and repair and maintain heating and air conditioning systems. We have over 50 years of experience, and we offer a 100-percent satisfaction guarantee. Give us a call at 281-201-0356 for more information or to schedule an appointment.